For our July club meeting … we’re very pleased to have Henry Kristanto of Redefy Audio (http://redefyaudio.com/redefy) present. 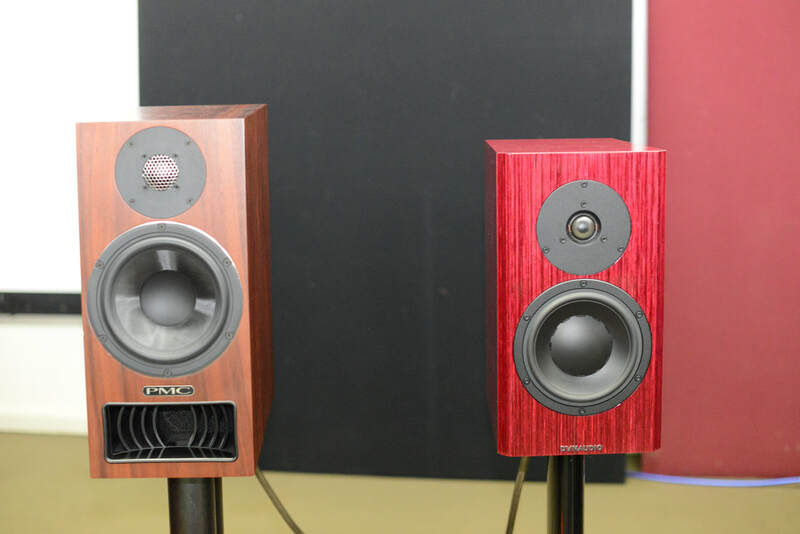 Henry last presented to the club in April 2016, when he brought in his superb Redefy Two – this time he’s presenting his impressive Redefy Audio Monitor speakers supported by other top-notch components. Before the commencement of our meeting at 2:00, we’ll be having a BBQ to celebrate our 10th year. 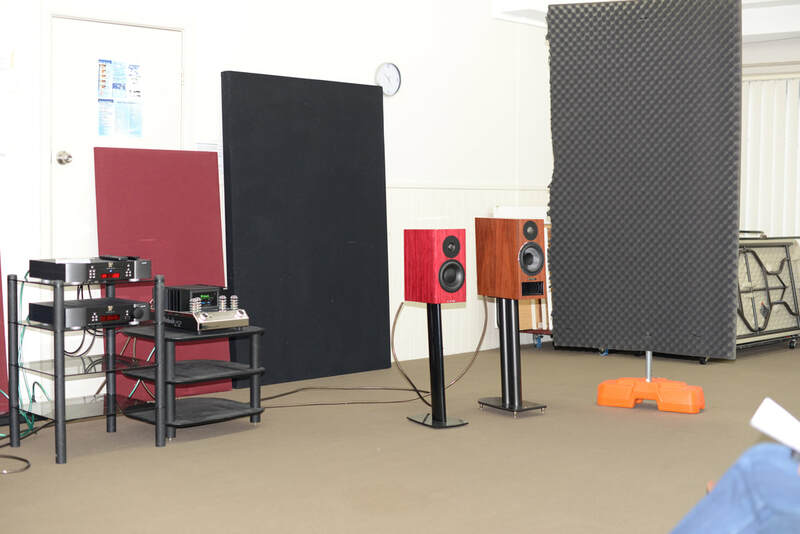 The inaugural Sydney Audio Club meeting was held on July 1st 2007 – it’s hard to believe that 10 years have gone by so quickly! So to celebrate our success and good fortune, we’re having an anniversary/birthday party. Come by at 1:00 to enjoy good food and great company. It’s free for members, and only $5 per person for guests. During our regular meeting, there will also be a raffle and some RockWiz style track guessing - just for fun. Also in attendance will be Marc Rushton, founder and publisher of StereoNET Australia (http://www.stereo.net.au/), and Edgar Kramer who is Editor-in-Chief of the just launched SoundStage Australia (http://www.soundstageaustralia.com/index.php). (If you wish to attend our meeting as a guest please see our address at the bottom). 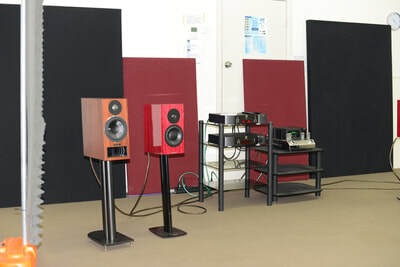 Refer to http://redefyaudio.com/monitor/ and http://www.audiohifi.com.au/redefy-audio-monitor.php. Vermouth Little Luccas Mk2 Limited speakers: 2 way with 5” and Raal Ribbon tweeter. Henry is also bringing in some new speakers by Vermouth. Until recently, Vermouth was known mostly for its high-end cables. But Hendry Ramli of Vermouth Audio has now turned his hand to speakers as well. The second half of the music sessions will be our popular BYO. Members and guests are welcome to offer music to share with us all. So bring along your favourite music on CD/SACD (sorry, no vinyl or USB flash drives). All we ask is that the music and recordings be interesting. We'll ask you to tell us a little about the artist/recording before it is played. Tracks over 6 minutes will be faded out, to give everyone a fair go. Our 10th anniversary and birthday party was a lot of fun! It was very evident by all the smiles and chatter that people were really enjoying themselves. That’s what I truly believe is marvellous about our little club – we know how to have fun, we don’t take ourselves too seriously, we don’t elevate one person over another just because their toys are bigger/better … and we are always respectful of each other. Excellent you guys! I opened the meeting with a brief speech about the club and the past Presidents and Committee members. John McEvoy was the founder and first President of the club – it was great that John was present so people could approach him for a chat afterwards. I also mentioned that Keith Morris (our Treasurer) is the only Committee member that has been on the Committee continuously since day 1. John Vandyke was our second President - John and family moved to Adelaide 5 years ago, so many current members unfortunately didn’t get to meet him. I’ve been the President since July 2011 – in fact, it was pretty much 6 years to our anniversary day. Again, I’d like to say that what is most important isn’t who is on the Committee or who is the President – what matters most is our dedicated and loyal club members. And we have many members that have been with the club since its inaugural club meeting in July 2007. Thank you all. We will continue to try to do our best for you. I then outlined the format of the day. And I introduced 2 important attendees that are in the audio industry - Marc Rushton and Edgar Kramer. Marc of course is the founder and publisher of StereoNET and also the man behind the International HiFi Show. Edgar is the editor-in-chief of the newly launched Soundstage! Australia. Thanks for attending guys. 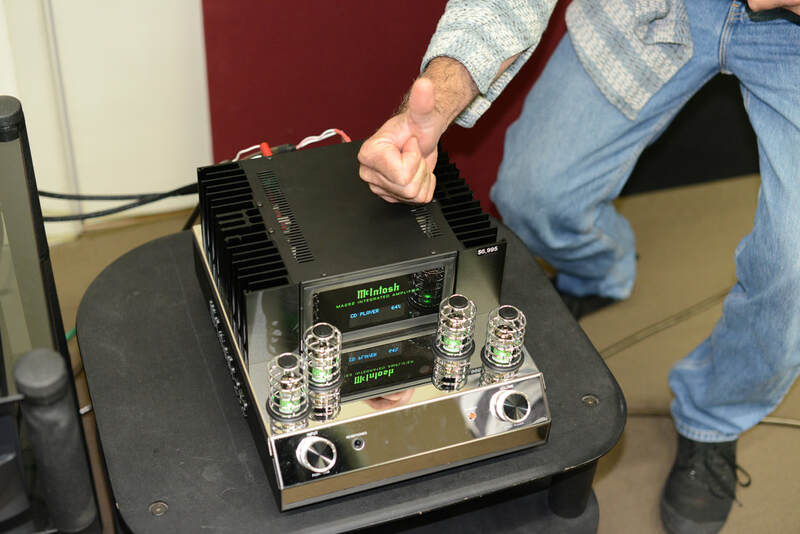 Finally… it was time for our guest presenter… Henry Kristanto of Redefy Audio. (He was patiently waiting for me to stop talking – what a guy!) Henry explained the design of the speakers he brought in. 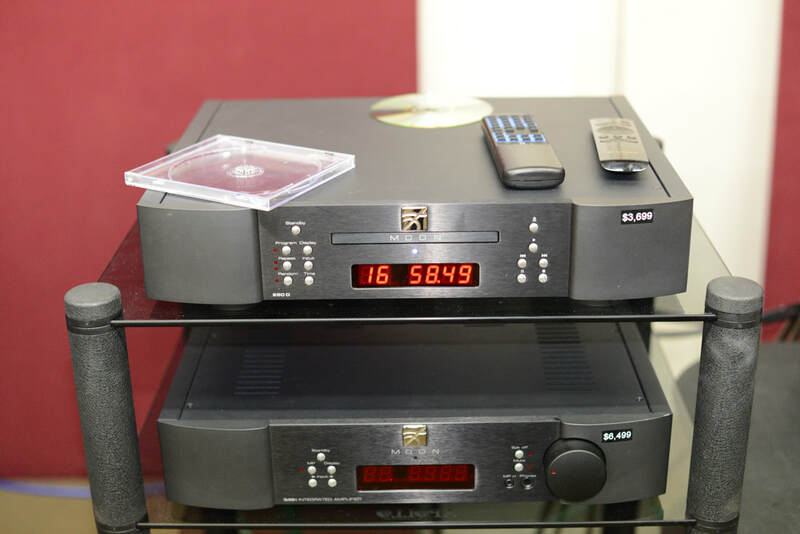 He also apologised for not bringing in the Arte Forma Elyssa Integrated Single End Tube Amplifier as was planned – it wasn’t functioning properly due to issues with valves. In its stead, we had a large integrated solid-state amp by AudioGD. Henry present some varied music for about 35 minutes. We had our break at our usual time. And during it, our Events Coordinator Steven Polley, presented a positively humongous cake he’d made for the occasion, complete with the Sydney Audio Club logo on the top. Even after we’d had way too much of it, there was still about half of it left over! After our break we had our raffle. This time we had 5 prizes! Long-time member Stephen Chen had donated a Thor power conditioner (including a PS Audio power cord) as well as a DAC (16 bit, 44.1 KHz only). We also had 3 gift vouchers for JB HiFi. From memory, Robert Jackson won the Thor and John Way won the DAC. We then had our usual BYO to close out the afternoon. Here are some comment lifted from the Feedback forms… when you read it all, please keep in mind that people were still in a bit of a party mood, so many tended to emphasis the birthday party rather than the SQ...!!! It was good too...!! “Most enjoyable & entertaining being 10yr Birthday of club. Thanks for BBQ and drinks and cake and quiz! Larger speakers from Redefy - more boomy bass, midrange and treble held back." A big thank you to Henry for the day.